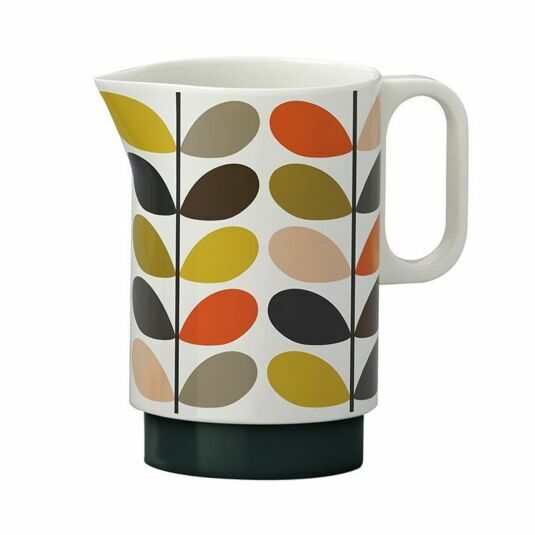 Featuring the classic Orla Kiely ‘Multi Stem’ design, this beautiful jug has fabulous retro styling. Straight sided, the jug has a large D-shaped handle and a simple pouring lip. The simple pattern features leaves in the classic Kiely colour palette – olive green, grey and orange, against a white background. The jug has a dark grey stepped base. With a capacity of 1.5 litres, it can be used for anything from milk at breakfast to cream with pudding and is also perfect for cool drinks on a summer’s day. 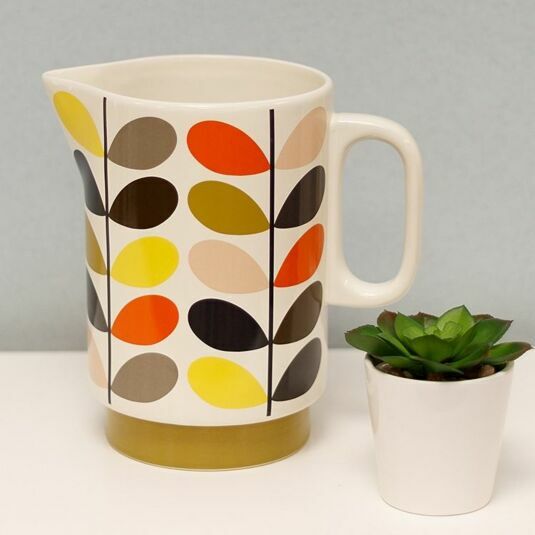 This is a beautiful piece of design, inspired by the innovative work of designers from the 1970’s and also 1950’s fabric designers like Lucienne Day; yet it is completely modern at the same time. It makes a great gift for a new home or anyone who enjoys spending time in the kitchen.